Full service offers a complete range of services that include interior design, planning, decorating and project management services for residential and commercial customers who are looking to build, renovate or enhance their space. All projects begin with an interview to define a client’s expectations, wishes and needs. This conversation continues throughout the process of creating a vision, budget concerns and design phase schedule. Every design is created in 3D Program in order for the customer to visualize the final outcome and avoid costly mistakes. We are a professional company with flexible approach, matched by commitment to quality and innovation. We have both, the raw talent and the innovate thinking to design according to the client’s needs, always backed by an experienced team. We have a track record of meeting deadlines. Our professionals understand the sensitivity involved in aspects such as color, material, furnishings, lighting and accessories. As your designer whether its for a remodel or new construction we can provide an average savings of 30-50% on furniture, cabinetry, rugs, accessories, flooring window shades and wall coverings. CALL US TODAY at (786) 348-5407! Creating organizational solutions for my clients is my passion. I enjoy working closely with all of my clients to create unique organized spaces that suit their tastes, lifestyle and also budget. From personal spaces to more formal home offices, I love to showcase each of my clients individuality and personality in all the work that I do. We design with best practices and build with the highest quality materials so that you receive a personalized system that is perfectly functional, completely organized and totally stylish – all within a budget you are comfortable with. Closet Factory is also known as the “Professional’s Choice,” servicing home builders, interior designers, realtors, and more! •We are fully custom with in-house manufacturing facilities across the country. •We provide assurance by showing up on time, and doing the project right, when expected. •Our trained installers are employees, not contractors. •We are fully insured and ready the moment we step onto a property. •We can complete spaces for the whole home so your own workers can focus on trim and other details. 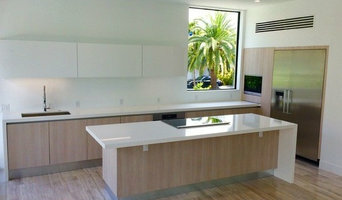 •We add value to homes by maximizing space usage and increasing storage capacity. Based in Aventura, Florida, Armadi Closets manufactures high-end storage solutions with state-of- the-art technology. Inspired by Italian craftsmanship and thoughtfully designed to match today’s lifestyle and needs, our products maximize every inch of valuable space Armadi Closets has been operating for more than 35 years following the most competitive standards of quality. An innovative and functional approach in 3/4″ MDF with 2mm edges multi-perforated adjustable panels, transforms simple closets into outstanding storage solutions where you can go from basic or traditional, to contemporary or casual. We have a team of qualified designers and skilled craftsmen that take pride in their product. Following a path of innovation and quick response to the client’s needs, Armadi Closets is nowadays a recognized brand mark in South Florida, leading the market in custom crafted storage solutions. 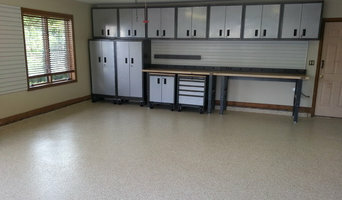 Our company sells and installs closets through its own locations and distributors. So far, there are Armadi Stores operating in Aventura (warehouse and sales center), Fort Lauderdale and Midtown Miami. Each of our showrooms displays our most exquisite combinations and last trends in design, targeting designers, interior decorators and anyone who wants to give that particular project an upscale touch. We Work and Dream Closets and we want to share our passion with you. As the Art of Organization, Closet Factory has been creating storage solutions for over three decades. We design around the client's needs and wants, you are in charge of the budget and we're here to create a personalized system that is functional and in style. Closet Factory is well known as the "Professional's Choice" collaborating with interior designers, contractors, realtors, and more! - We are fully custom! nothing is prefabricated. - We offer a lifetime warranty on everything we manufacture that is transferable - We are licensed and insured - We add value to homes by maximizing space usage and increasing storage capacity - Our installers are trained and employees of Closet Factory, not subcontractors. Experts in home organisation can help streamline and organise your home life. They provide bespoke storage solutions and strategies to ensure everything in your Miami, FL home has a place and you can live comfortably. Some can help you regain control of your entire house, while others specialise in specific areas, such as wardrobes, offices, paperwork and collections. They also provide coaching so that you can maintain your new organised space. Find a wardrobe, storage and organisation expert on Houzz. 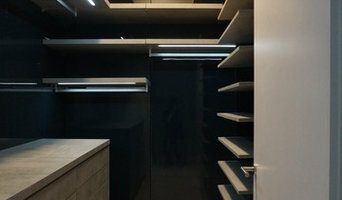 Scroll through this page to find Miami, FL professionals who can design and install storage solutions, as well as provide home organisation services. You can browse their previous work, read reviews and see how other homeowners rate their customer service, product and expertise.